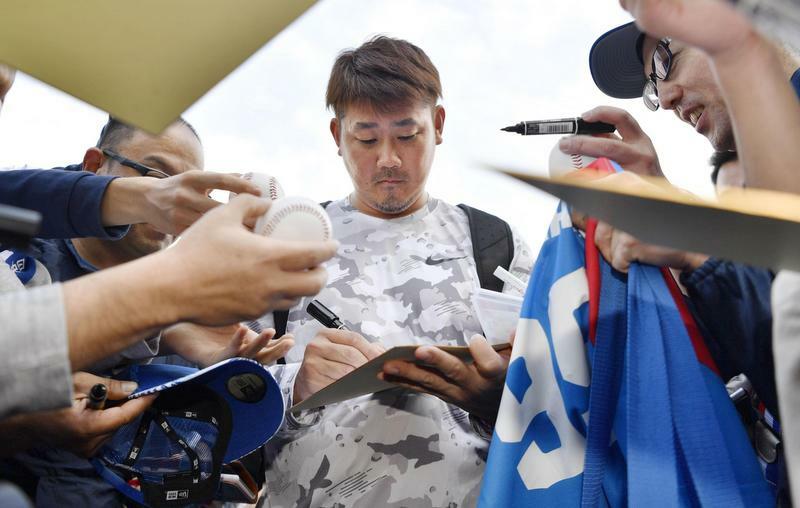 CHATAN, Okinawa - Former big leaguer Daisuke Matsuzaka has another hurdle to clear with inflammation in his right shoulder after a fan pulled his arm during an event at spring training. The Chunichi Dragons said Tuesday that Matsuzaka has been prohibited from throwing after feeling discomfort in his right shoulder following a fan event in which someone yanked his throwing arm. Instead of playing catch, the 38-year-old ran and took some full cuts in an indoor batting cage. NPB’s 2018 Comeback Player of the Year, Matsuzaka went 6-4 with a 3.74 ERA over 55 innings last season.